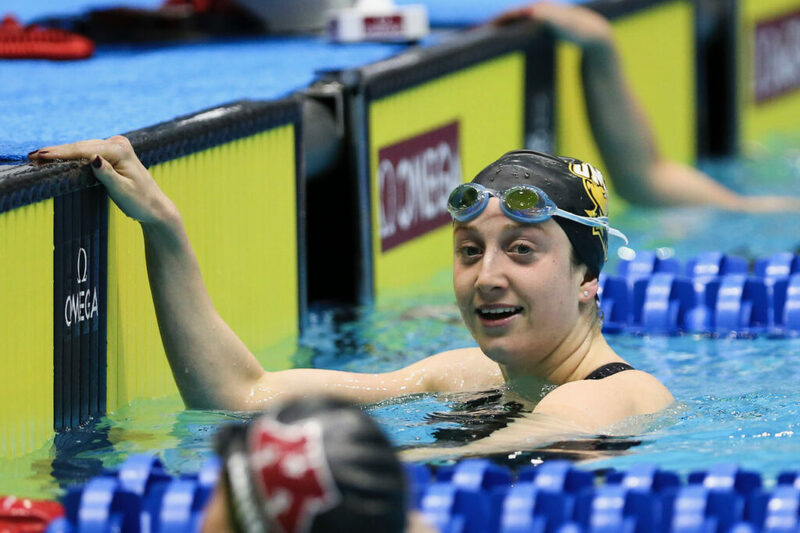 Emily Escobedo ’17, psychology, concluded her historic UMBC swimming career by earning a bronze medal in the 200m breaststroke at the NCAA championship in Indianapolis. In addition to earning the eighth best time in the history of the event, Escobedo broke another UMBC record on her path to the podium. Escobedo swam her UMBC record-setting time of 2:05.20 in the finals of the 200m, faster even than her time in the same event at the U.S. Swimming Olympic Trials held last year. In the process, she earned All-American Honors. Escobedo is finishing her career in UMBC swimming and diving as one of the most decorated swimmers in the program’s history, as well as in America East. She has been named America East Rookie of the Year, America East Swimmer of the Year four times, and America East All-Academic three times. In addition to being named an All-American, Escobedo also earned two more Honorable Mention All-American honors this year, in the 200 breaststroke and 200 IM. Based on her swims, UMBC finished 24th in the nation at this year’s NCAAs. Escobedo has competed in NCAA championships in all four years of her time at UMBC. Her total career honors at NCAA championships now include two bronze medals, two All-Americans, and three Honorable Mention All-Americans. See additional coverage from UMBC Athletics, Swimming World Magazine, and America East. Images: Emily Escobedo at the March 2017 NCAA tournament. Photos courtesy of Tim Binning/The Swim Pictures.